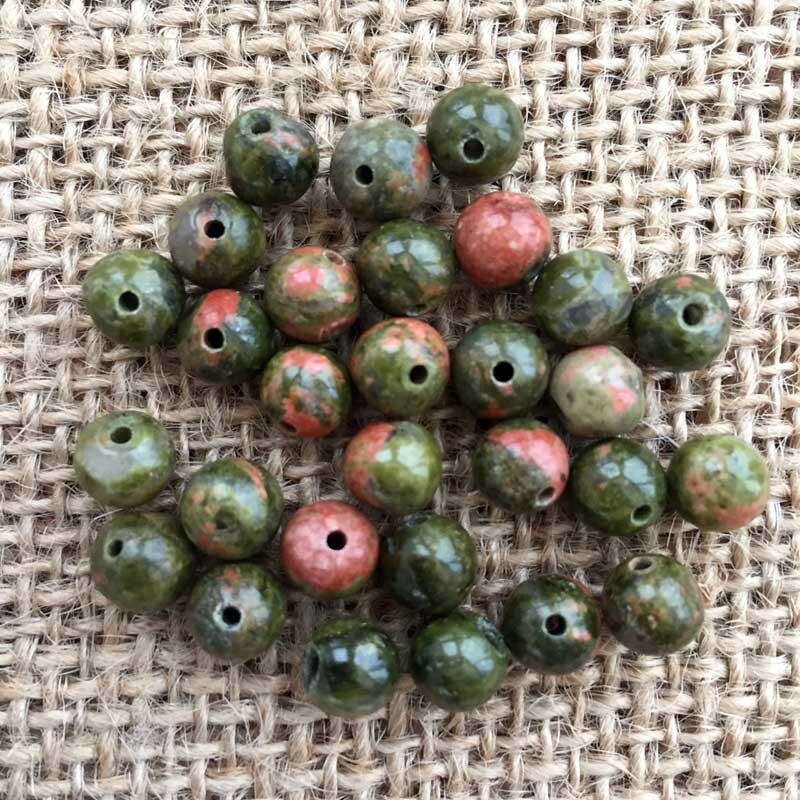 Unakite Gemstone Beads for jewelery making. 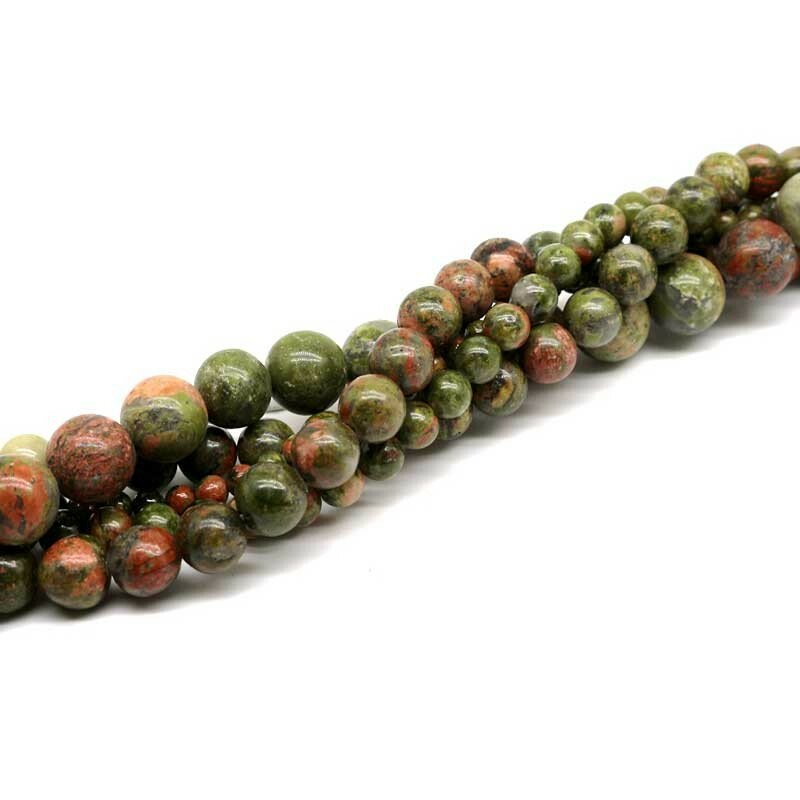 Natural Unakite beautiful beads. Hole size is approx. 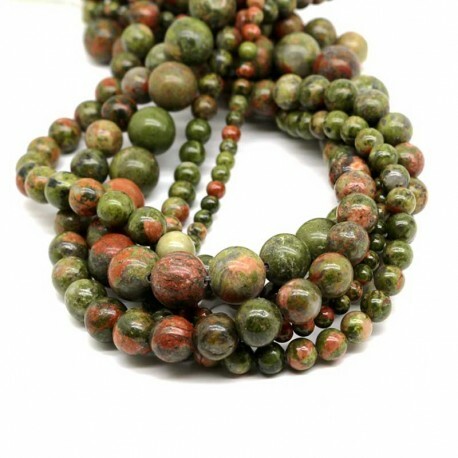 1 mm. 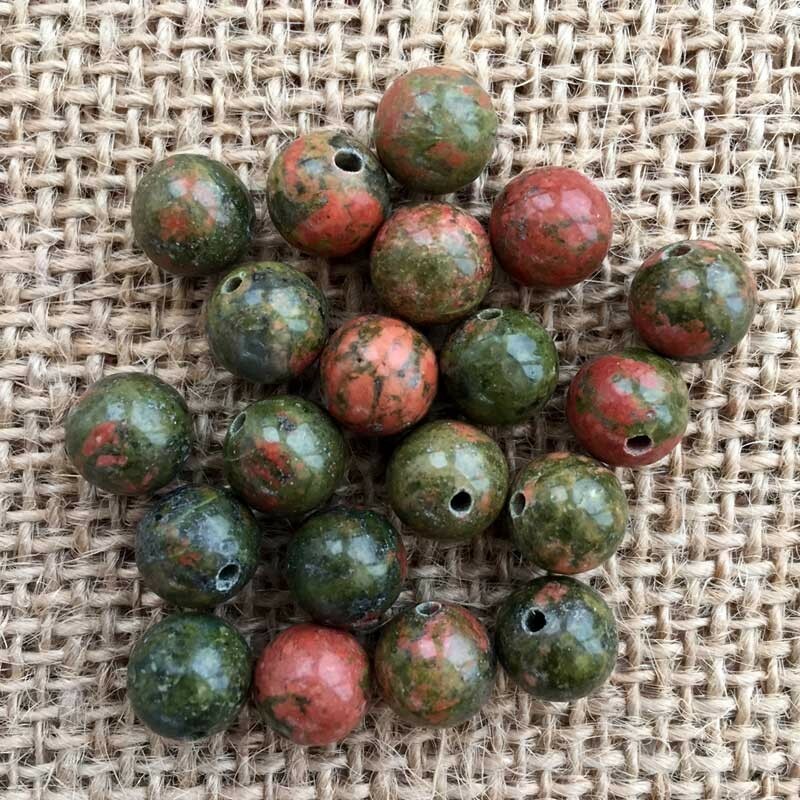 Round, smooth Unakite gemstone beads for DIY necklace, bracelet or earrings.